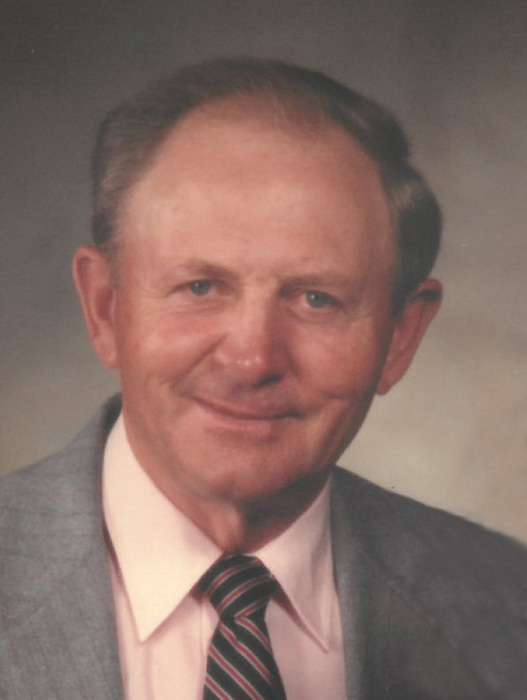 Edward Gustave Marek, age 94 , of Casselton, ND, passed away peacefully at the Eventide Care Facility in Fargo, ND on January 24, 2019. Edward, the 11th of 14 children, was born on January 29, 1924, to Anton Sr. and Aloisia (Lux) Marek, in Everest Township, ND. He grew up on the Frank J. Langer farm and attended school to the eighth grade in District #102 in Everest. Edward entered the United States Air Force in January of 1946. During his service he was stationed in Alaska, England, Germany and Kansas, where he worked as an electrician on the B-29 bomber. After discharge, he farmed on the family farm near Casselton, ND. Edward married Shirley Muscha of Harvey, ND on May 29, 1961. The two made their home on a farm just west of Casselton, later moving into town where he worked for Farmers Union as a service technician. In 1978, they moved to Absaraka, ND, where they operated the Marek Mercantile general store. During their 57-year marriage they raised 7 children. In 1988, Edward and Shirley earned their G.E.D.s. Ed loved celebrations and being surrounded by family and friends. He loved farming, fixing and collecting tractors, woodworking, Snickers bars, Pepsi Cola and Budweiser. Edward is survived by his wife, Shirley (Muscha) Marek of Casselton; children: Monica (Les) Qvale, Larkspur, CO; Toni (Jon) Watt, Casselton, ND; Sam Marek, Casselton, ND; Amy (James) Stocker, Chandler, AZ; Heidi (Bruce) Bosch, Cheyenne, WY; and Dr. Ashley Marek, Minneapolis, MN; grandchildren: Sydney (Zack) Murphy, Landon Bosch, Alec Watt, Abrianna Qvale and Sami Watt, and brother Leo Marek, of Pinehurst, ID. Edward was preceded in death by his parents, his 12 brothers and sisters and his daughter, Kristi Marek. Ed’s family would like to thank Eventide and Ethos Hospice for the excellent care provided to him. Visitation: Friday, February 1, 2019 from 5-7 pm at West Funeral Home in West Fargo, ND and also one hour prior to the service on Saturday. Prayer Service: Friday at 7 pm at the funeral home. Memorial Service: Saturday, February 2 at 11 am at West Funeral Home in West Fargo, ND. Final Resting Place: St. Leo’s Cemetery, Casselton, ND.